All iPhone Games for Free – Special Gamescom Offer! We are offering all our iPhone games for free for the duration of the Gamescom 2010 (Aug 17-22) – so what are you waiting for? Get ’em now from the AppStore! Author rangermannPosted on August 17, 2010 August 16, 2010 Categories General1 Comment on All iPhone Games for Free – Special Gamescom Offer! We have just updated our company website, adding a whole new section containing all our services. The new section covers all your outsourcing needs, from game and software development and visualizations to 3d graphics and concept art. Feel free to contact us for more information or an offer free of charge and without commitment! We have just updated our website and added a new section since we have been working on some augmented reality stuff. About two and a half weeks ago, we were at the Gewista Plakatparty 2010 showing off a project we have been working together with Gewista and :3C! 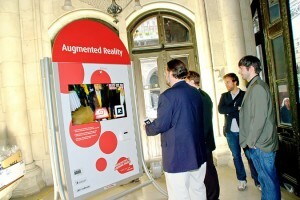 vidision: The Augmented Reality CityLight. The citylight itself was stuffed with a 40 inch flatscreen and an HD camera and we decided to do an augmented version of the well-known and popular wooden labyrinth game. To control the position and rotation of the labyrinth, the user had to use a marker printed on a cardboard. It was actually really funny watching people try our game after spending quite some effort on it to deliver the best playing experience possible. The game also features a highscore system that displays the times and images of the top three players (since it captures an image of every player before the games starts, this is possible). Man, this event was one hell of a party – they had everything you might think of, no wishes unsatisfied. Concerning the AR solution(s), we are really looking forward to creating some more amazing stuff, maybe in the near future. 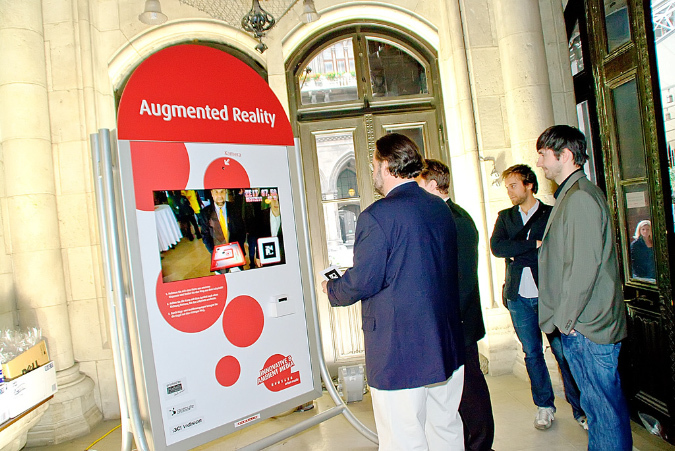 If you are interested in creating augmented reality (AR) applications – no matter the purpose – do not hesitate to contact us! Check out some more pictures of the event on our website. Black Sheep: Now available for the iPad! The iPad is here – and so is the brand-new iPad edition of Black Sheep. Play all the tricky levels in native resolution on your iPad right now! Author rangermannPosted on April 5, 2010 July 21, 2010 Categories General1 Comment on Black Sheep: Now available for the iPad! The days are rather busy here at Rarebyte, so it took me a while to get back to our devblog to write a few lines about the project that we just finished. “The Biggest Loser – Abspecken im Doppelpack” is a series on the german tv station kabel eins. It now has a dedicated iPhone app that we developed for Independent Arts Software and that was published by SevenOne Intermedia. Get it now for free at the iPhone AppStore! Black Sheep 1.3 is now available on the iPhone AppStore – now for only USD 0.99 (EUR 0.79). It features five complete new levels – get it now! 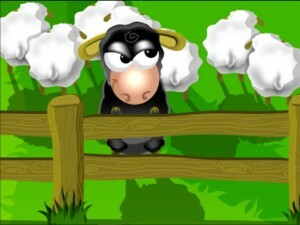 A new version of Black Sheep is available on the iPhone AppStore – OS 3.0 compatibility issues are resolved. Get it now! Get it now from the iPhone AppStore!